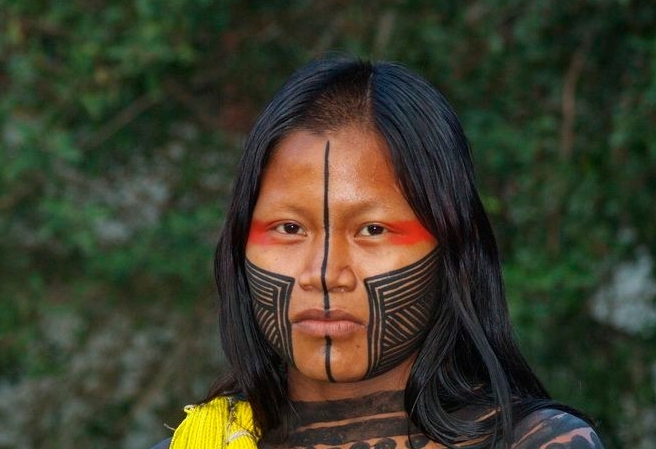 The reason tribes use face art to transform themselves may be varied. 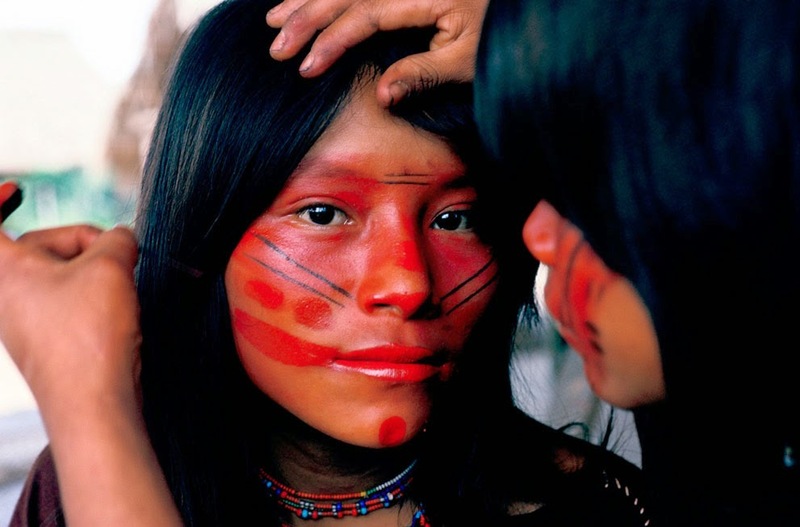 Sometimes they choose to do so as a part of a tribal ritual or at other times they do so to mark their status (as is the case with some aboriginal tribes), but the colorful and dynamic language of the face painting remains the same. 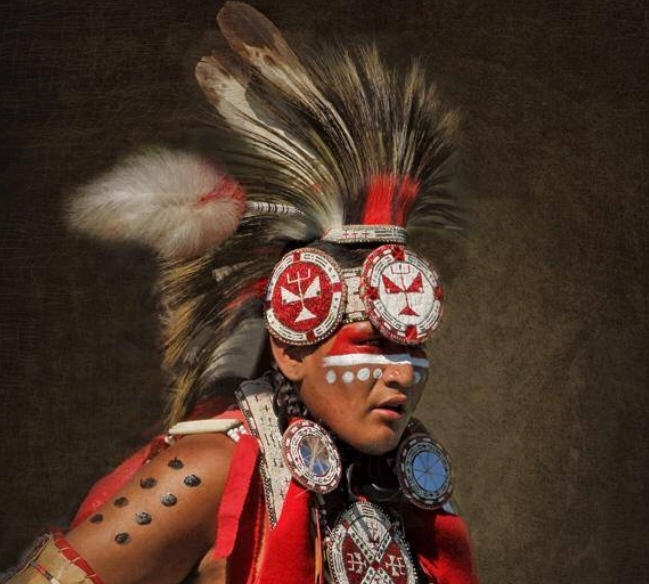 Significance of the Colors: Colors in Native American culture have special significance. Red is a violent color; it is the color of war. Strangely enough black, which is considered to be an inauspicious colors in most cultures, is the color of ‘living’, worn on the face during war preparations. White predictably is the color of peace. The color green when worn under the eyes is believed to empower the wearer with a night vision. Yellow is the most inauspicious color, it is the color of death, as it is the color of "old bones." Care should be taken not to wear a lot of yellow, and is worn only when a person is in mourning. Also yellow, means a man has lived his life and will fight to the finish. 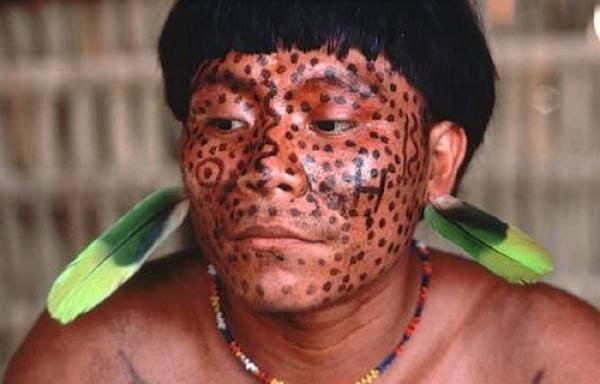 Each Indian tribe has its own and unique way of face painting. Face paintings can be the lightest streak of color on the face. It can also mean covering their faces completely. 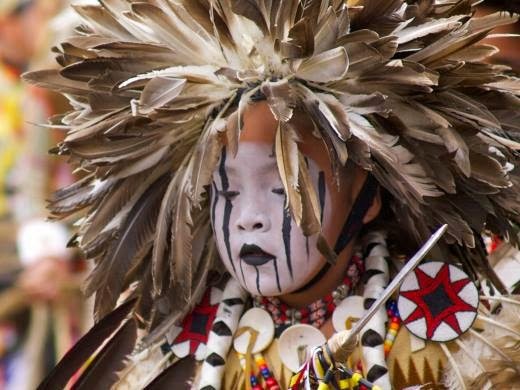 Raw materials used for Tribal Face Painting: Face painting is considered to be an important tradition among Native Americans. It is much more than just a beautifying practice. It’s a sacred social act of distinction and a cultural heritage. 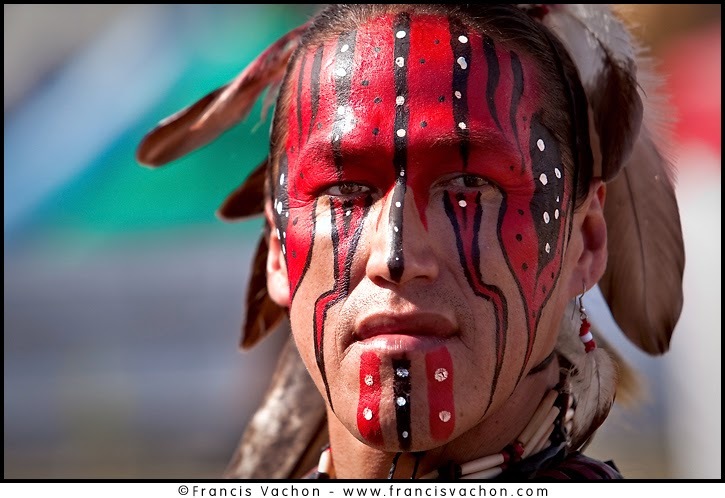 On special occasions faces of the tribe members are painted to augment one’s appearance and power. 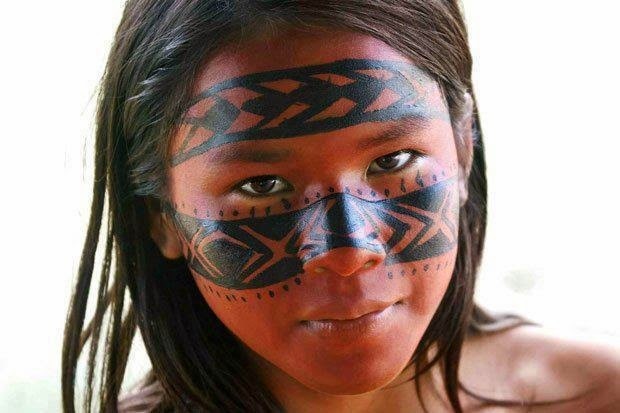 Each tribe of the Indians has its own and unique way of face painting. 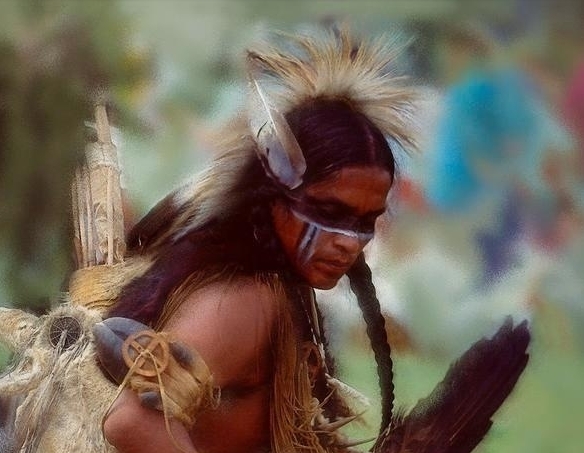 For Native Americans Indians, roots, berries and tree barks are most commonly used to make the dyes for face painting. These natural raw materials are ground and made to a paste to make the dye. Clay of different hues is also used in Native Indian face painting. These wonderful colors along with the ideal face painting designs do create a desired effect. The process envolved a strict ritualistic order, that is maintained during the application of these colors. The colors are first applied around the nose and only the index finger and middle finger is used for the application. The rest of the face i.e. the forehead, chin and eye areas are then carefully covered with paint. 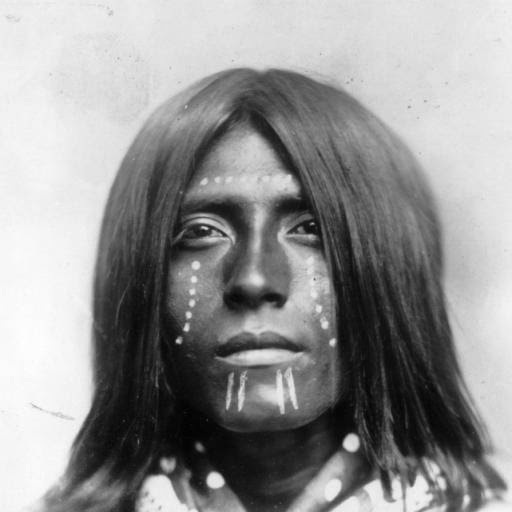 For some face paintings they would cover their face and then plaster it down with mud leaving the holes for the eyes and mouth. 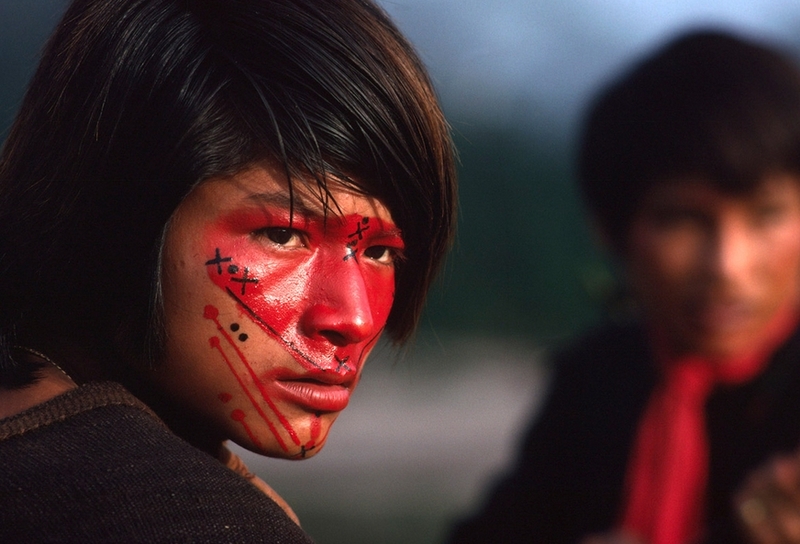 Generally the warriors would paint their faces with colored clay. They would then do the design of their tribe. 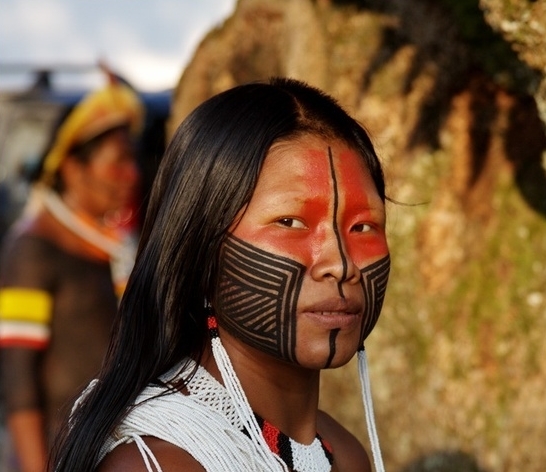 Each tribe has its own designs for war and ceremonies. 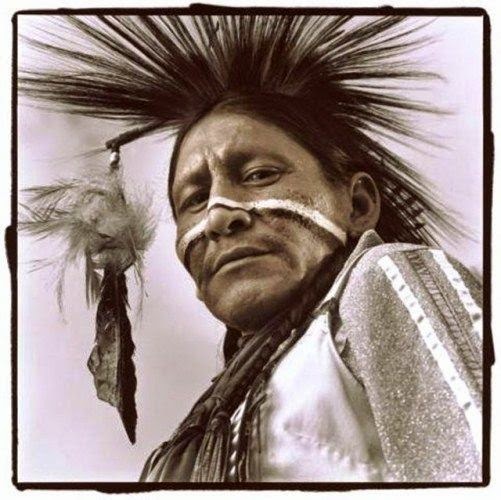 For the Zuni, and in many other cultures, the paints are sacred and nobody is allowed to touch a painted dancer until he has washed his body. 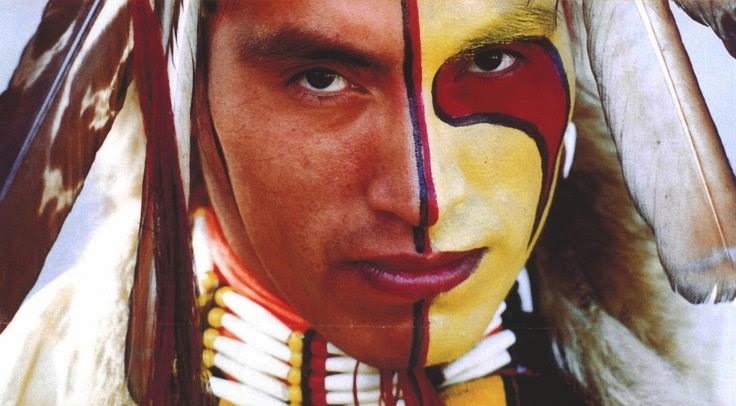 Responses to "Sacred Meaning of Indigenous Face Paints: 22 Painted Faces That Tell Stories "
Also, look at the beauty of the faces of indigenous people. Wonderful pics! Very beautiful faces- love the info! I find the face painting beautiful it adds to the expressions. 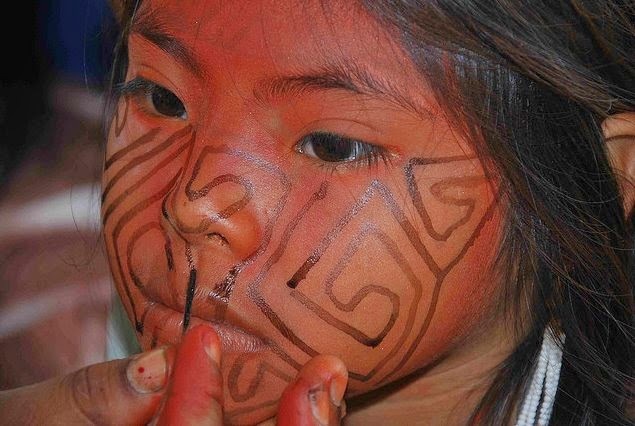 I believe there are so many more face painting symbolic in natural design ! doesa warior paint hi face the same way each time? and are women allowed to do so??? This makes me very happy to see this! 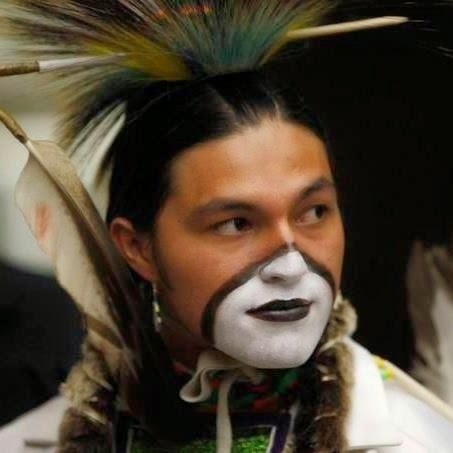 I'm part Blackfoot and just love to see the different Native American cultures spoken of in a good light! The pictures were stunning and beautiful! Great art and culture displayed here! Godspeed. Wonderfully Beautiful. Thank you all, such a pleasure to see. PROUD TO BE A PART OF THE HERITAGE. Beautiful artwork on these beautiful faces. Was hoping there was going to be some explanation of the meanings of some of the various designs. <3 <3 <3 Loved all !! 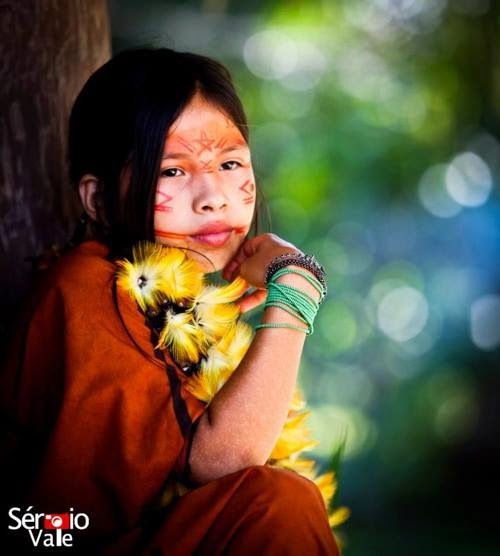 beautiful pictures of beautiful faces !! would have some explication what the meanings of the different paintings are. schöne Gesichter mit den Farben des Lebens verziert ...toll . Was just wondering on the representation of colors and black meaning life, then why were the prisoners who were to be killed or burnt at the stake had their faces painted black? Just wondering and would like to be educated on this. Love the baby, such a little cutie! 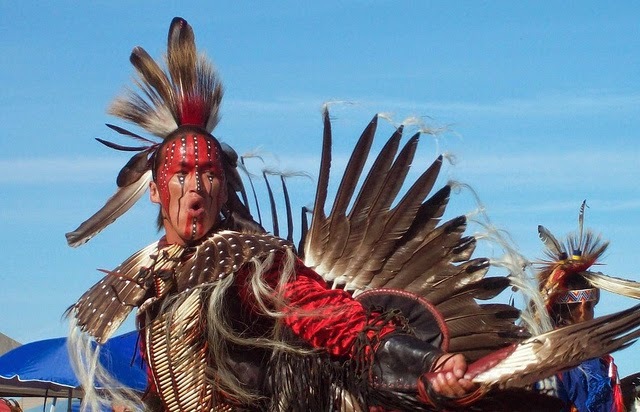 i have a question, I had a spiritual revelation yesterday I saw this big bomb fire with natives dancing around it. 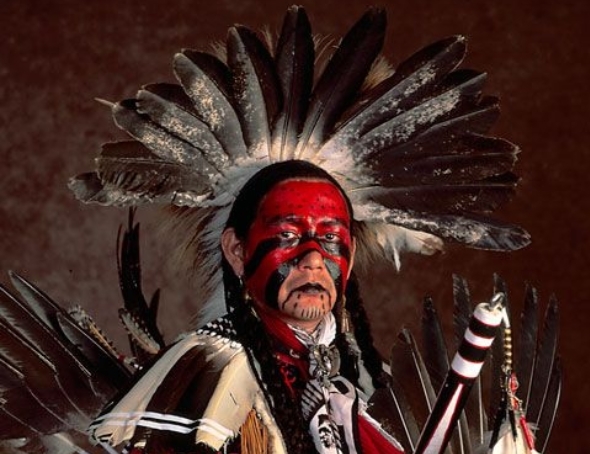 out of the blue this native male with no shirt he had an eagle in each arm looking the opposite way he had lower arm tassels and pants with the tassels on the sides indian boots with tassels and he came to me with red paint and he did a cross on my forehead, temples, eyes, and mouth. he also did two lines under my eyes and under that three dots going the length way. then he raised a buffalo skull up to the moon. i couldnt hear what he said. after that he went back to dance around the bomb fire. Can someone tell me what it means?? Beautiful workmanship in such applications of colour and design. 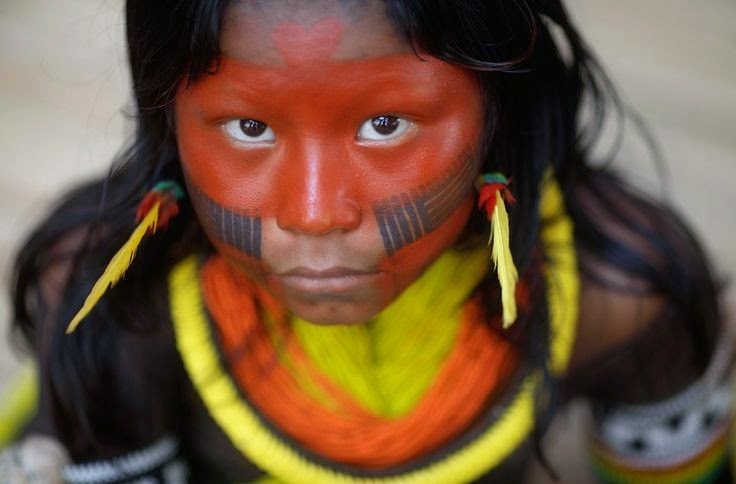 I would like to have seen each of these pictures captioned with tribe and explanation of what the paint signifies. I was also wondering if women paint their faces, and if so, when and why? Desperately seeking answers. 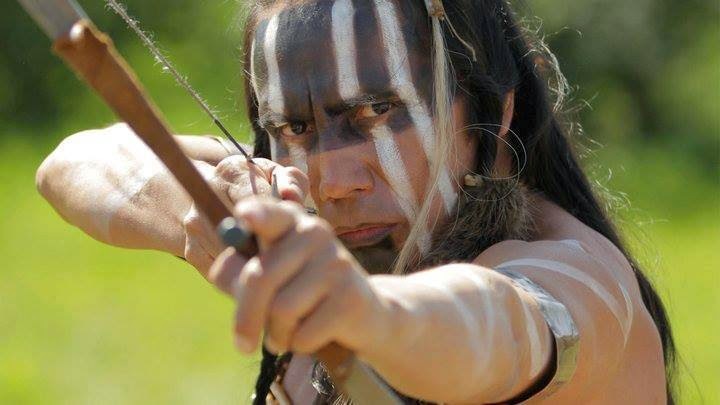 I am a medium and received a vision of a native American man with his long hair tied back and on his face were red stripes that were about an inch wide that started from the corner of his eyes (bridge of nose) and ended at the angle of the jaw. He also showed me with winged arms, no top but around his wrists were leather bands with 3 "fringes" He also stated the "Cry of the Hawk." My questions is what does all this mean? Would be nice if there were general meaning given to the designs shown. Unless it's too personal a thing. Thank you for the information and beautiful pictures. My ancestors are Cherokee and to honor them I am painting a sculpture. It is important that I have the colors accurate. Blessed 🙏 Be.